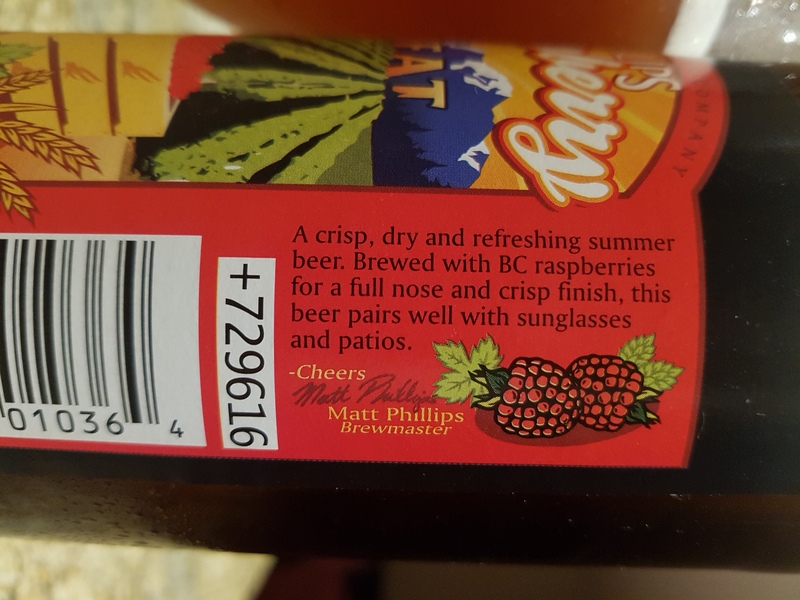 Raspberry Wheat – Phillips Brewing Co. (Victoria, BC, Canada) | Justintoxicated. Visual: (cellared for 6 years). Pours blush red with a dissipating 1cm head, fine ringed retention with an island, raspberry sediment, slow and steady micro streams. Summary: A very basic and straightforward lightly flavoured raspberry wheat ale, not much body or depth to speak of. It’s just an easy-drinking brew, barely above average, hardly recommendable nor memorable. The best aspect is the nose.